Some frequently asked questions answered here. If you can't find the answer you're looking for or need more information, please contact us. Can I enter the 2019 event? Do we eat at the Hotels? As we are staying at Holiday Inn hotels for all 3 nights in 2019, all hotels have on site restaurants, but if you wish to make your own arrangements and eat elsewhere you are more than welcome. The 2019 event will begin on the morning of Wednesday 14th August and finish on the evening of Saturday 17th August. Lappers were asked to arrive from 7:00, and by 7:30am at the very latest. ​We aim to leave King's Lynn at around 8:00-8:30am on the 14th, and arrive back there by sunset on the 17th August. Full route details will appear here. For cyclists the entry fee pays for entry to the Adrian Flux Lap of Anglia, a four day (three night) 400+ mile bike ride with support crew, beginning and ending in King's Lynn 14th August 2019 to 17th August 2019. Welcome pack sent before the Lap, including tips, sponsor forms and stickers. Parking at the start/finish site for the duration of the event for one vehicle. Three nights' B&B accommodation - typically you will be sharing a twin room. Lap of Anglia 2019 cycling jersey (presented at the start of the event*). Day time snacks from the support vehicles at the end of stints. Completion Medal to all finishers. Individually, those elements would cost far more than the entry fee, but thanks to generous friends at Holiday Inn, Queen Elizabeth Hospital, Robinsons VW etc. we can get preferential deals. When do Early Bird prices end? The Early Bird price will be in place probably until the end of the Mayday Bank Holiday - so for 2019 that is Monday 6th May. Can I pay by instalments, offline or by another method? Please contact us as we'd like to accommodate your needs as much as we can. The preferred method of payment is by bank transfer for ease and to reduce costs and give the most money possible to the charity. What size jersey should I order? The jerseys are based on men's sizes but are designed to be very tight. If unsure, please opt for a larger size than you expect. Most people end up with a jersey one or sometimes two sizes above their usual - e.g. if you're used to wearing medium clothes, please consider ordering a large or XL jersey, unless you are happy to have a very snug fit. Who do we share a room with? Most Lappers will share a room with another Lapper, if you had booked a double-spot entry then we assume you will share a room together, but if you'd rather not then we can rearrange accommodation. Those entering on a single booking will share a room with another cyclist, which we will assign at random before the event but can be changed if you feel you'd rather share with another person instead. Single occupancy can be arranged but as the accommodation costs for your entry are not shared between two Lappers the price will increase significantly. For a quote, to arrange a single occupant entry, or to clarify the entry fee for you or a group of entrants, please contact us. Please note once very few entry spots remain, we will be unable organise single occupant entries as the Holiday Inns have no extra room, so if you're interested in single occupancy please act quickly. Is there a minimum amount we need to raise? Not officially, but we suggest you aim to raise at least £250. The average per Lapper in 2017 was close to £400. If you wish to set up your own JustGiving page to help you hit your targets then that's great - we just need you to let us know the address of the page so that we can include it when declaring the total raised, and ask you to make sure you select East Anglian Air Ambulance when you set it up and then choose the Adrian Flux Lap of Anglia as the event- we can even help you with a template. What do we do with our luggage? Pack light! This cannot be stressed enough. We have seen over the years some truly gigantic bags and suitcases. A carry on bag for Ryanair (other low cost carriers are available) should give you an idea of the size required. 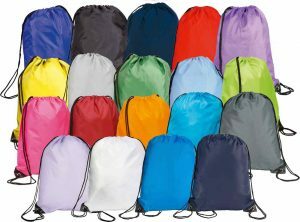 You should bring a smaller drawstring bag which will kept in the van and more easily accessible. You will never be cycling more then 30 miles without seeing it again. This small bag would be available at each stop. Examples of these drawstring bags are here - we'd recommend choosing a distinctive design so you can find yours easily amongst the 50+ others! Where are bikes kept overnight? The bikes are kept in the Holiday Inns, usually in your room. Sometimes the hotel will assign a spare conference room to keep them on the ground floor but this is not guaranteed. The entry fee includes all you can eat breakfast at the Holiday Inns - so refuel fully! Apart from that the food you eat will need to be purchased seperately. You can purchase food at the stops which generally are either shops or pubs, or else you can select from the 'free' tuck-shop food on offer from the support vehicles, which the crew will keep topped up with snacks fruit, crisps, confectionary etc and will be included in your entry fee but probably will not satisfy your main meal requirements. Evening meals are generally taken at the Holiday Inn and again you will need to purchase the meal. Almost every Lapper has enjoyed this evening meal and chance to chat to the others. If you'd rather have alternative meals in the evenings then of course that's fine, you can arrange your own and we'l see you in the morning for breakfast! *Can I get my jersey before the event? Jerseys are presented at the start of the Lap, but you can collect yours from King's Lynn or any arranged training rides beforehand if you wish. We do not send these out in the post as we have found over the years that people really do need to try different sizes before they know which one they need, and the size you think you want is almost always wrong unless you have had Lap jerseys before, due to the manufacturer's rather skin-hugging cut and sizing. Generally if you think you want a size, you'll need one around one step larger. Feel free to try one on in King's Lynn, get in touch with us to arrange a convenient time and place - you'll then get the one you really need and we can order more for you if you'd like more when we request the second batch, knowing confidently how many of each size we require.